A few days ago, a guy named #SAMA TANYA, obtained a certification in #inbound marketing. Two days after, another guy named #NJEFI MICHAEL obtained the same certification. Both of them achieved this success under #Skademy training. Inbound Marketing is a professional course taught in NO STATE University in Cameroon but is highly regarded as a course to acquire skills to grow a company’s traffic online. At the moment, Skademy is the ONLY platform in Cameroon I know of, that offers a structured training in inbound marketing. At the time of writing this article, Sama Tanya was not around me, so I asked Michael this Question. Q: Hey Michael, what inspired you towards following a career in inbound marketing? A: Actually, I see a future in inbound marketing (Online Marketing). Every new business has a problem of online traffic growth. Therefore, without traffic you are unable to market your products to the maximum audience you plan to reach. To confirm what I have heard I asked a few other people who know Sama Tanya, popularly known by the pseudonym “SAMA TECH”, I was told Sama Tanya is a geek in Google advertisements and all other forms of online advertisements. I could only wonder how wonderful the Skademy learning platform is. Let us all analyse the amazing part of the story based on my discussion with Michael. This recently certified Inbound Marketing Expert is just 19 years old. We have all read above what inspired the guy towards following a career in inbound marketing. It is interesting that we have youths who think in this direction, taking into consideration the fact that the system in Cameroon is more of a “degree hunt” society. By this I mean most youths are pursuing a degree, but not the skills behind that degree. What then can we do to solve this problem? Companies in Cameroon after reading this post, should contact Sama and Mike for a job interview and employ them if possible (they will for sure pass the job interview). Publish on their blogs that the recently certified inbound marketing Experts gained employment, and share on social media platforms to reach out to the youthful population. This will boost the appetite of youths to follow a career in skill-focused training. Volunteers should opt to sponsor platforms and communities that offer skilled focused training. Sponsors can begin with Skademy, that trained and produced these two recently certified inbound marketing experts. State Universities and other IT institutions should begin to include skills-focused training to their course curriculum. To the best of my knowledge, apart from Skademy, NO OTHER HIGHER INSTITUTION offers well-structured course programmes and create awareness of the specific skills students can achieve from their studies. Even if they create this awareness, the training is not adequate to meet the goals of the ambitious youths we have in Cameroon today. Any other inspired person should leave his/her suggestion(s) in a form of a comment. I also spoke with the founder of Skademy. I will like to share some highlights of our discussion with our readers. Otto Akama, the 28-year-old Entrepreneur is the proud CEO of Skademy. Otto said “I have always had intentions of being an entrepreneur. I decided to create Skademy because I need to train skills that I will need to build my “BIGGER EMPIRE”, that is yet to come”. I continued to press on Otto. Which “BIGGER EMPIRE” are you talking about? At first, Otto was reluctant to open up. But as a professional I used my self-tested tactics to make Otto tell us about this his “BIGGER EMPIRE”. 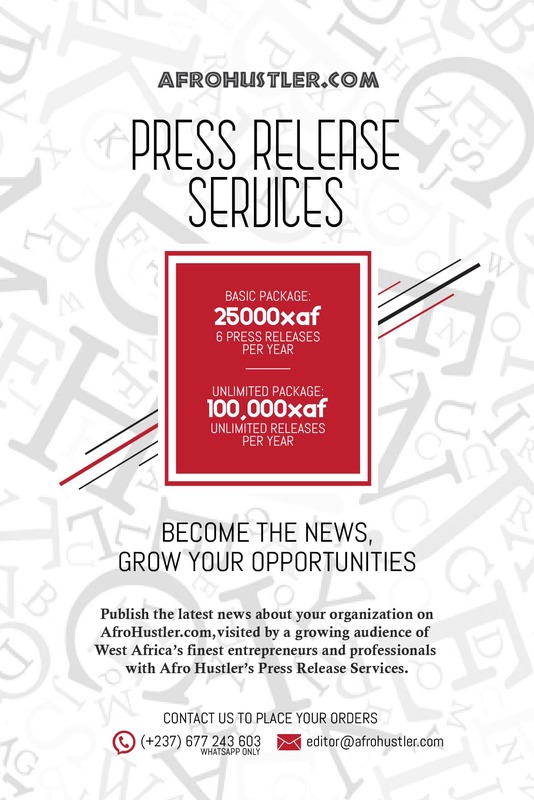 “Makonjo Media, is a group of digital media services and platforms that work to bring visibility and success to Africa’s digital presence”, Otto said. I will provide no further information concerning Makonjo Media. Go to Makonjo media’s website, if you need more information. We have potentials and talents around us which we are not exploited. Therefore, if we aim towards getting into an emerging economy as we hope to by 2035, it MUST begin NOW. If people begin to exploit all these talents and potentials which keep increasing geometrically, Cameroon could also produce as many multi-billion dollar companies like all those found in USA’s “Silicon Valley”. It is a good thing we have an “Android Generation” already, to serve as the skeleton behind achieving an emergent nation, including gurus like Arthur Zang, an inventor who recently made access to heart test easier, and has advanced to finals for the African Engineering Competition. As we give a big “thumbs up” to Mike and Sama for their achievement, I think someone may want to discuss some unknown subject lines with them. If you are willing to have any further discussion, sorry because I can’t be of help to provide their contact details. Maybe if you ask TechCrunch-Africa in a form of a comment, your request will be granted at some later time. Also, remember to visit Techcrunch-Africa often for more of such stories.